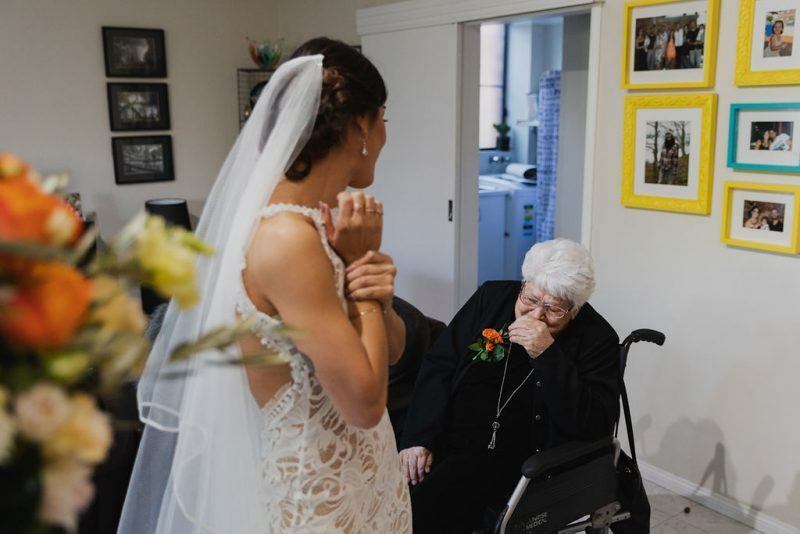 Des and Diarna weren’t necessarily looking for love, but fate was determined they meet. 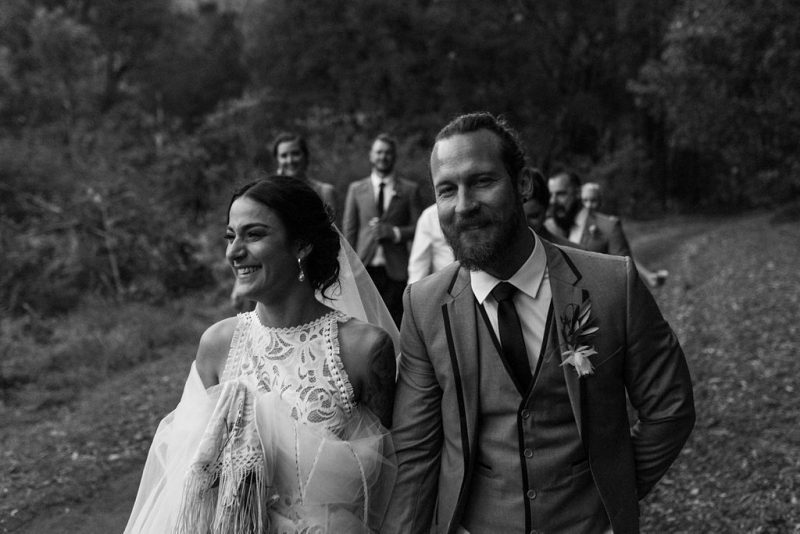 “…we met in London working in the same bar, Desi was oblivious to my wooing but I got him in the end!” says Diarna cheekily. 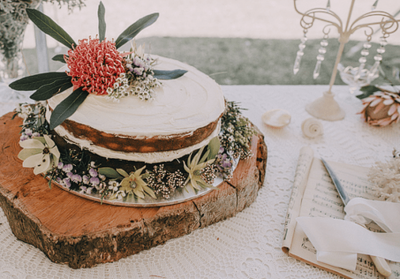 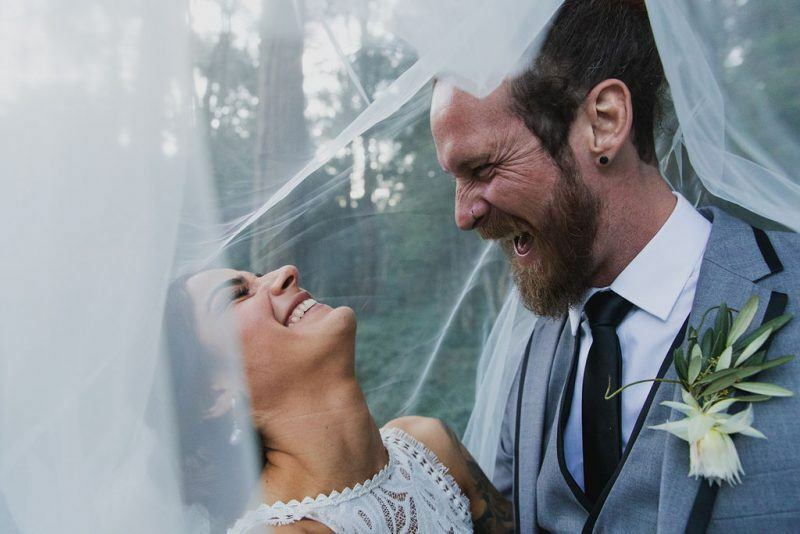 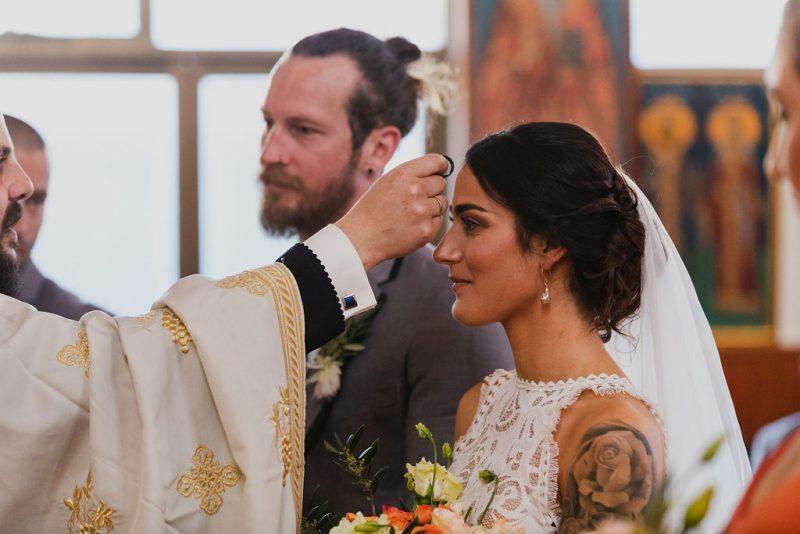 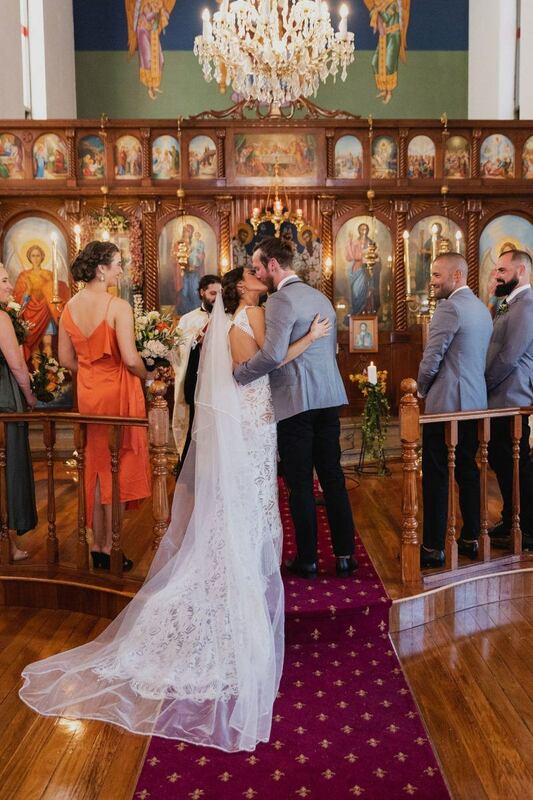 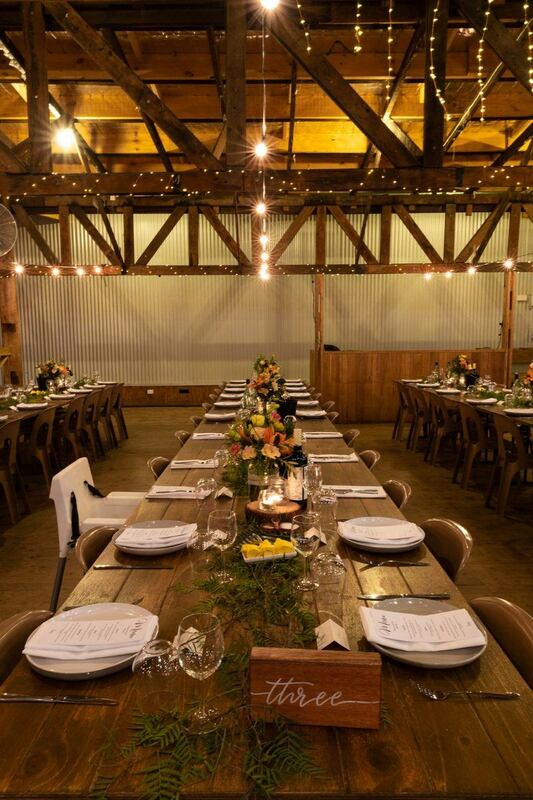 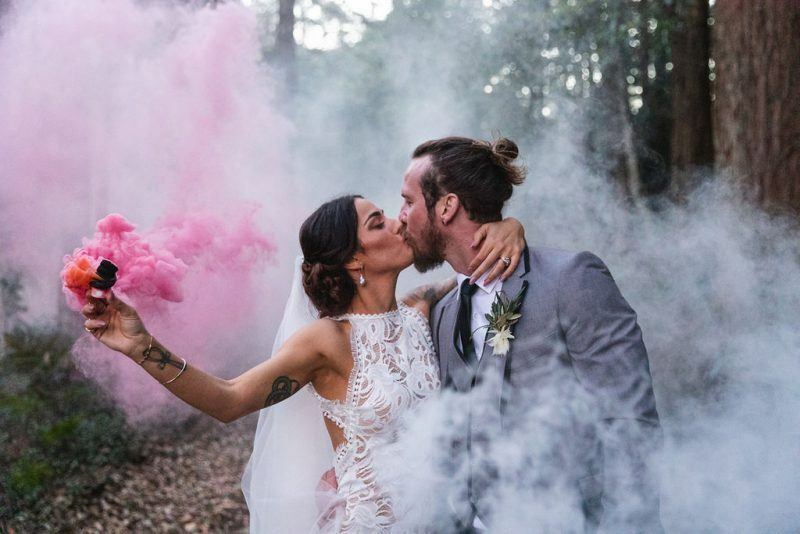 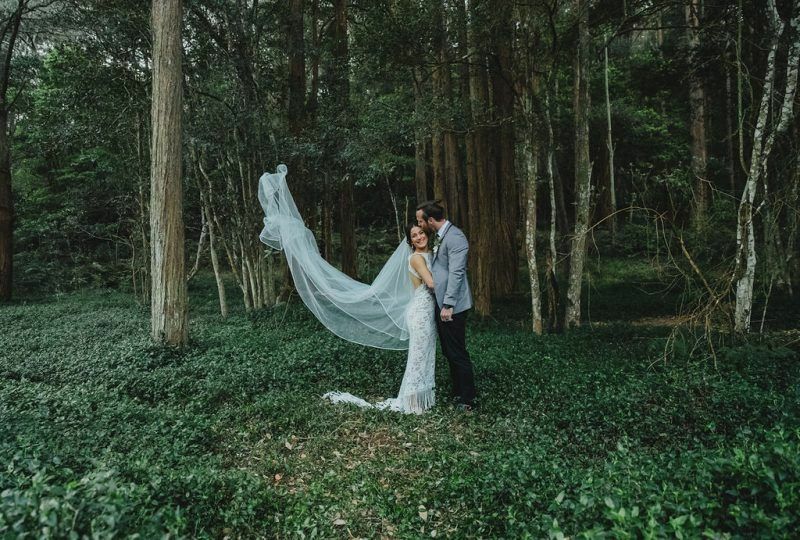 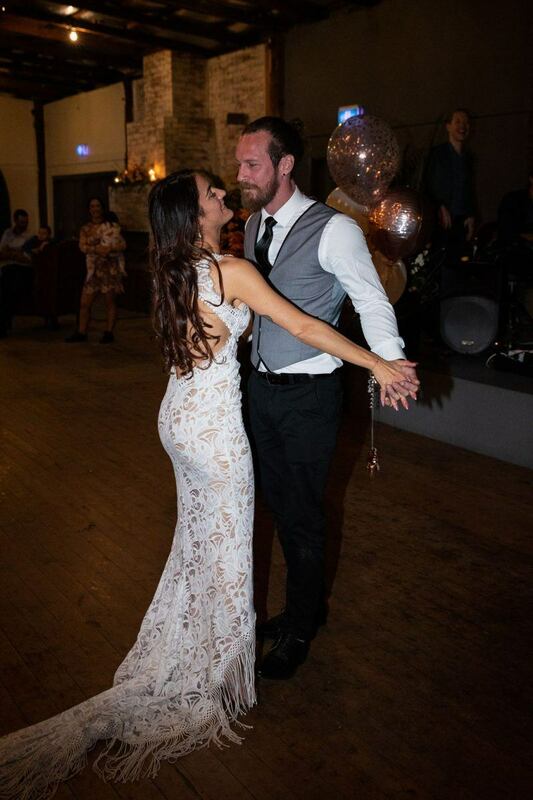 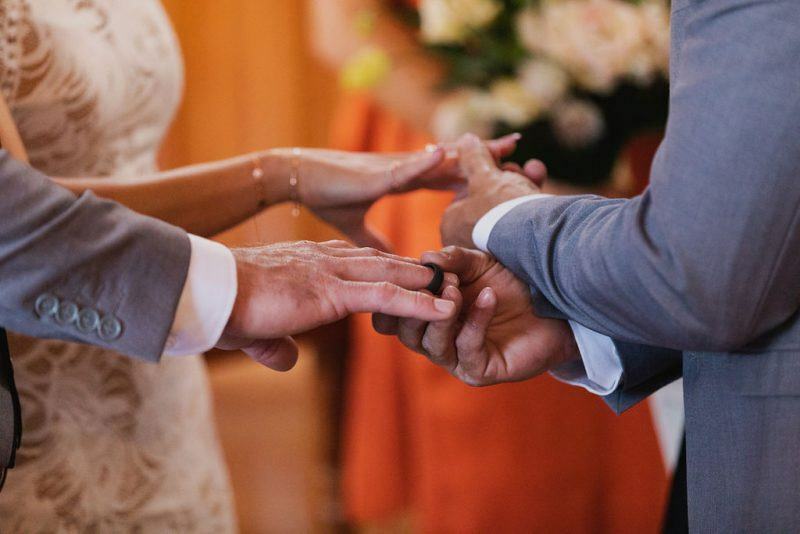 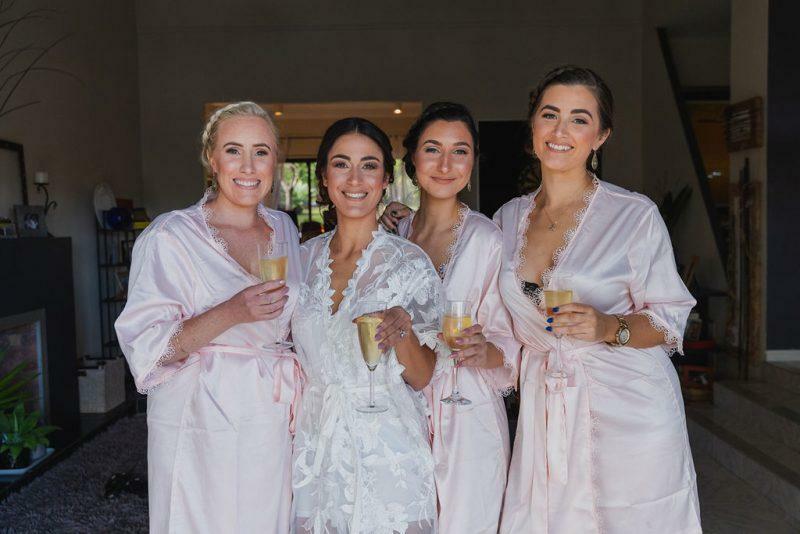 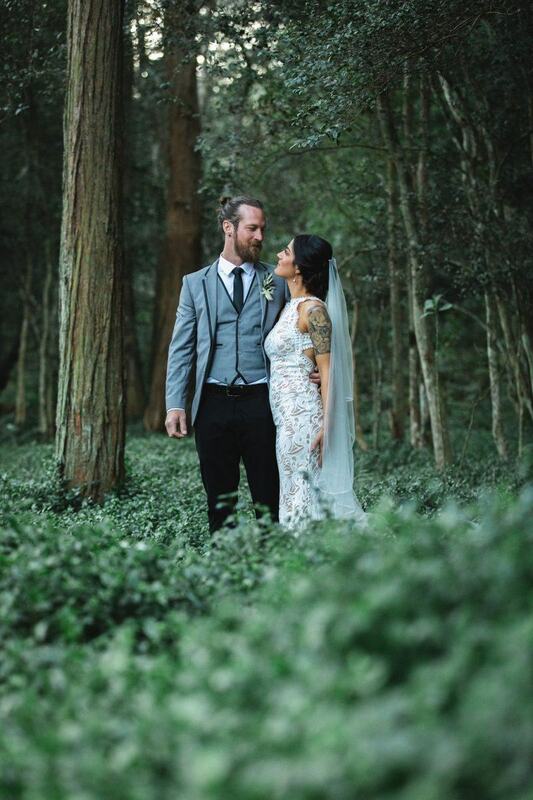 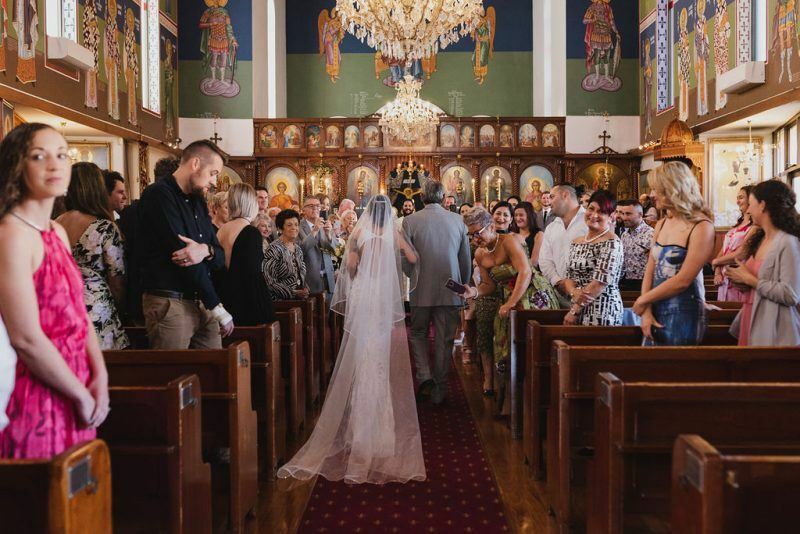 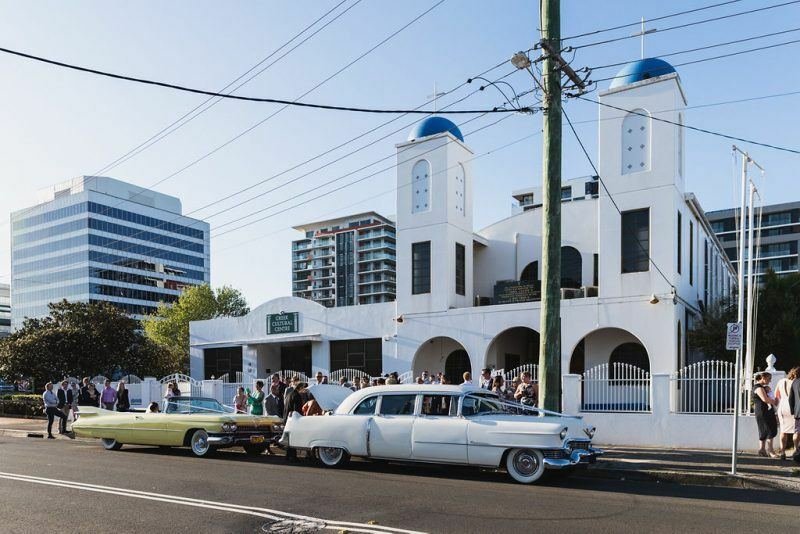 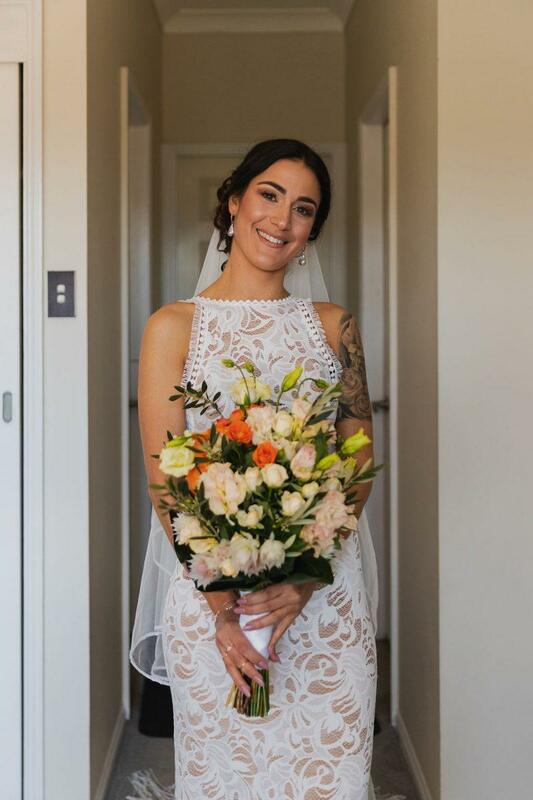 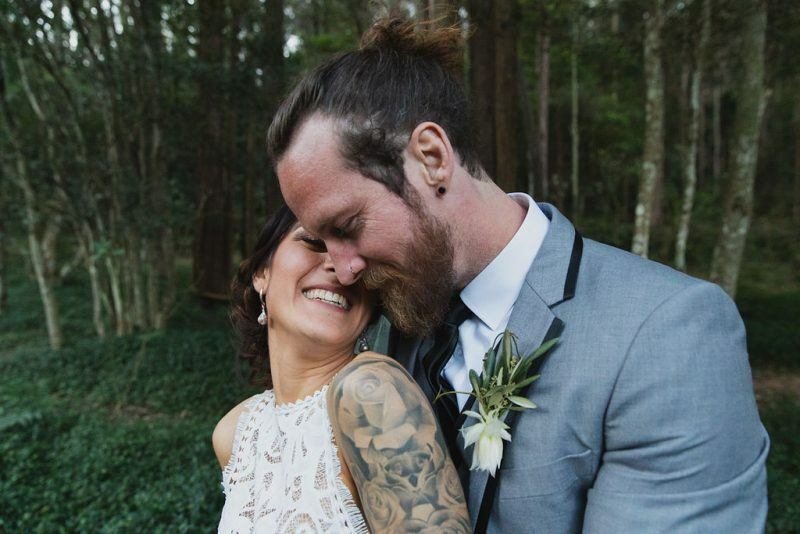 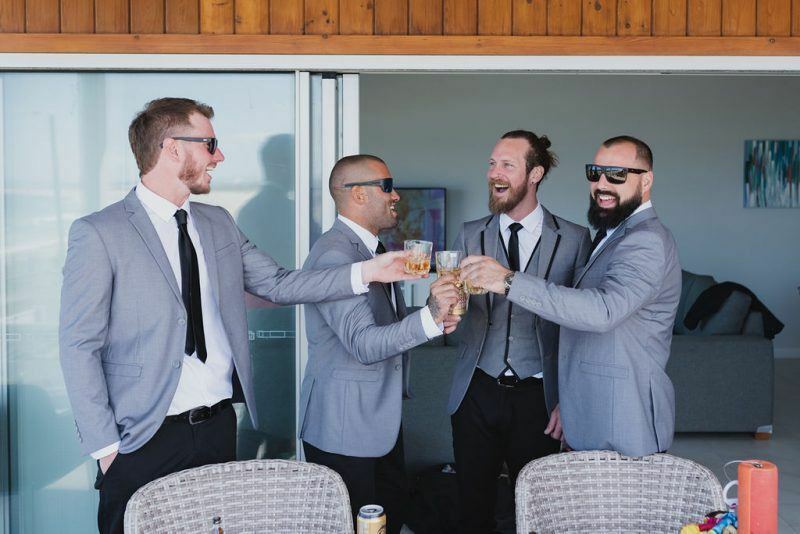 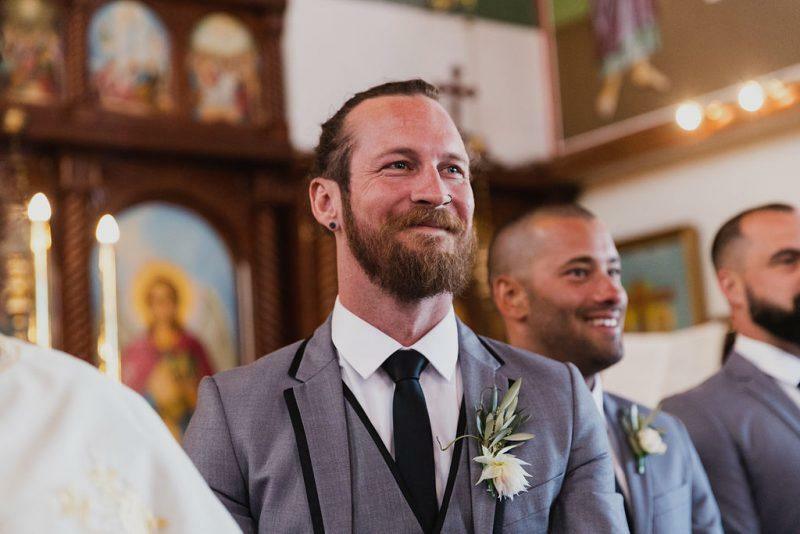 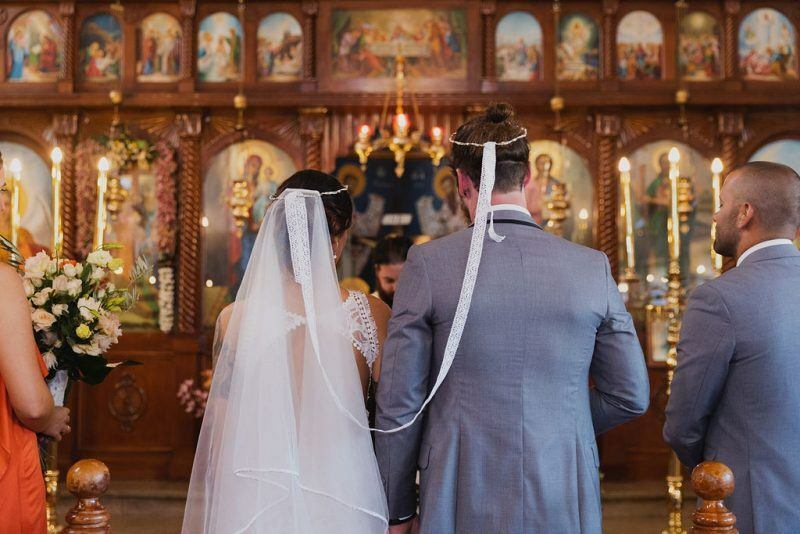 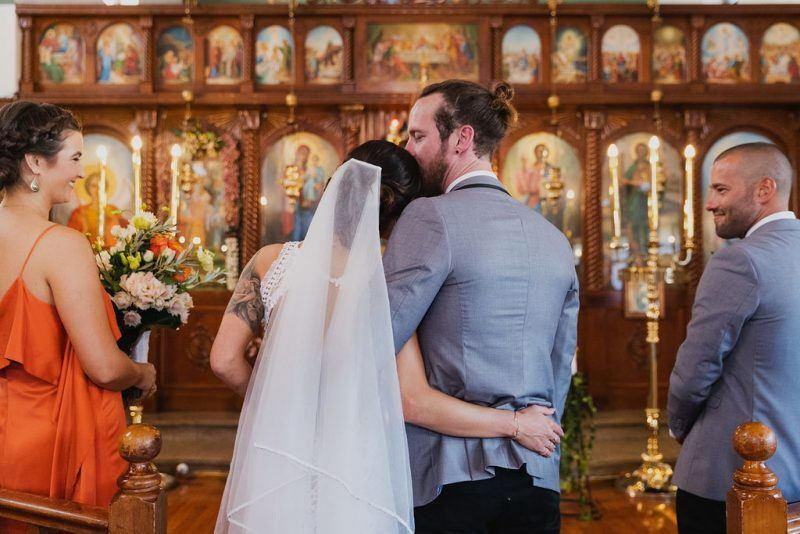 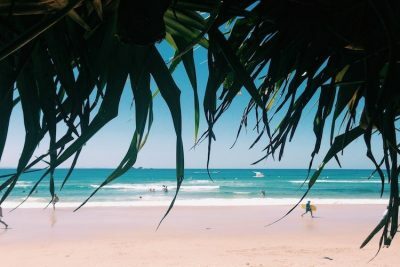 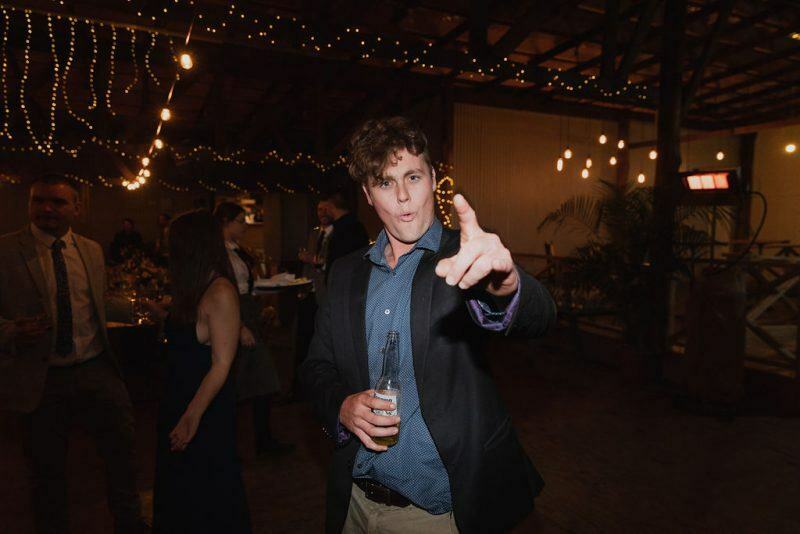 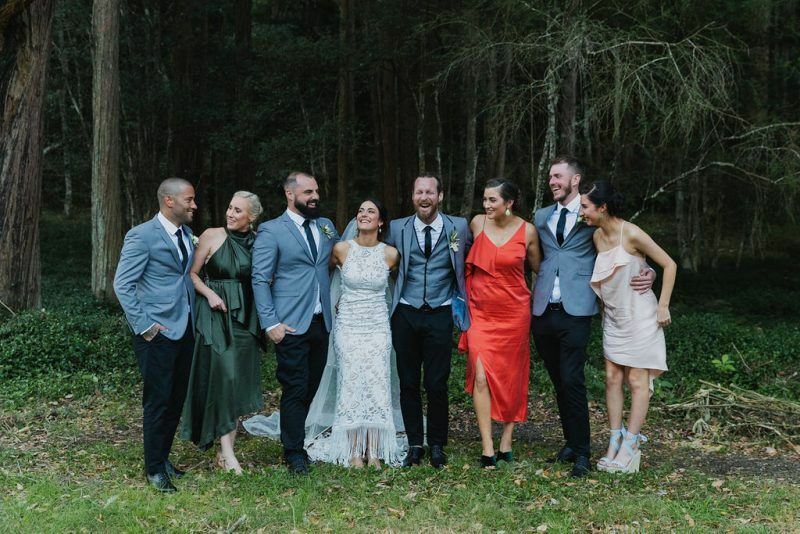 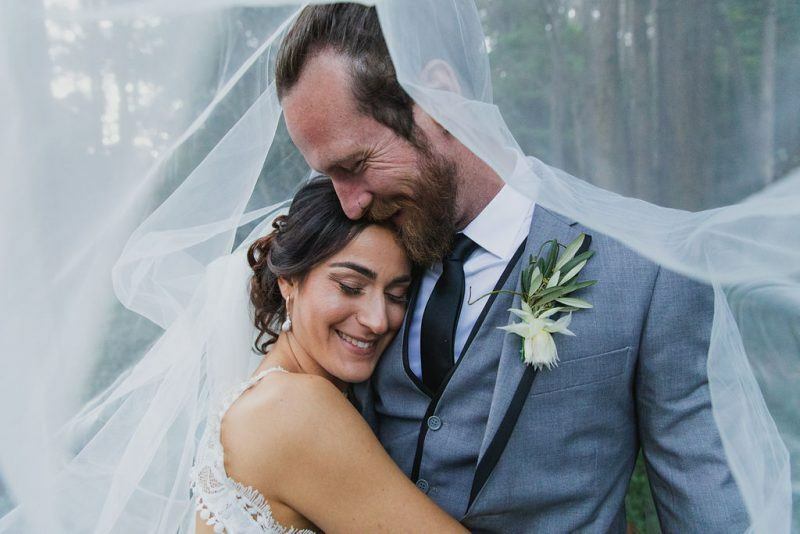 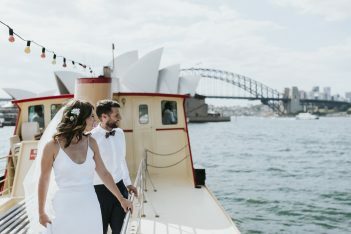 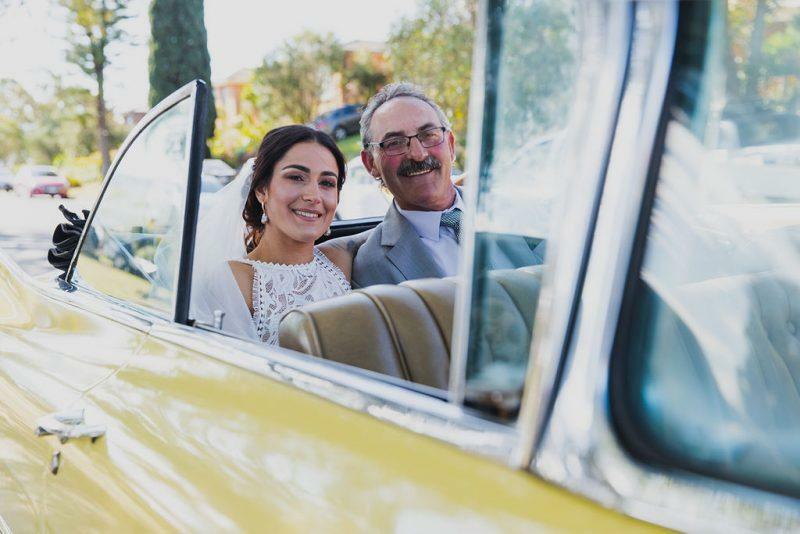 Their wedding took place at The Woolshed – a beautiful and well equipped South Coast wedding venue and while everything didn’t go to plan, it was an amazing day nonetheless. 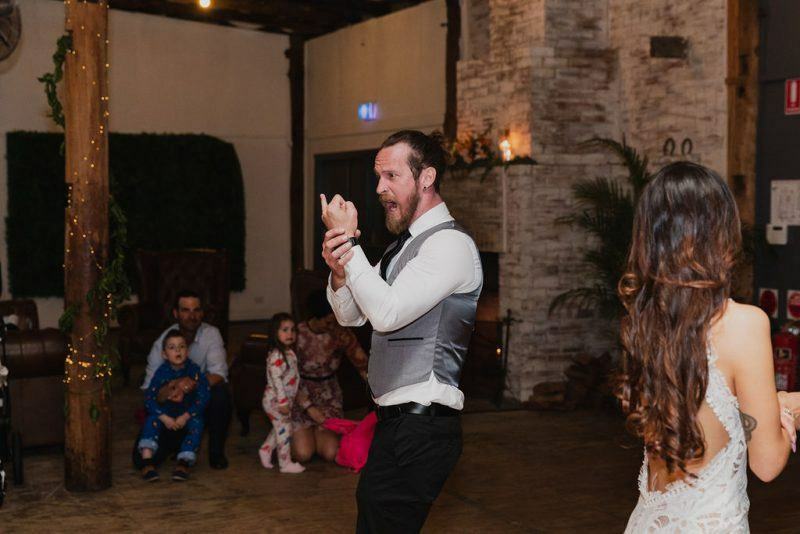 And as with all small blips, it made for a good story. 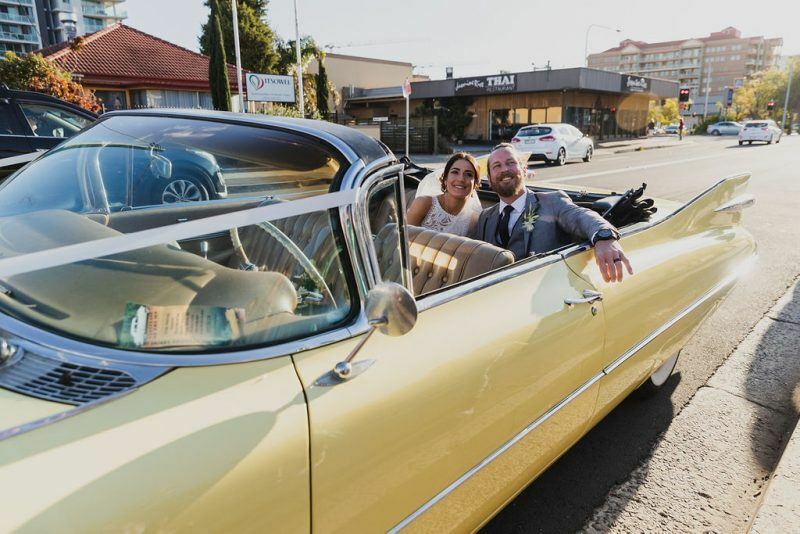 “Unfortunately at the end of the location shoot their hire car broke down and without their mobiles on them, they had no way of contacting anyone to pick them up. 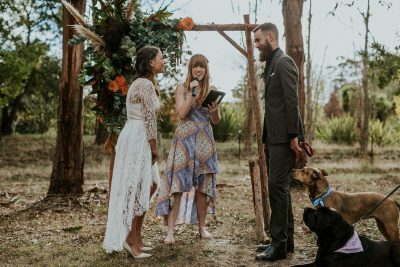 Not long after, they were dropped off to their reception thanks to the kindness of a passer by who collected them”, says Richard of Lonely Hunter Weddings who took these heartwarming snaps below. 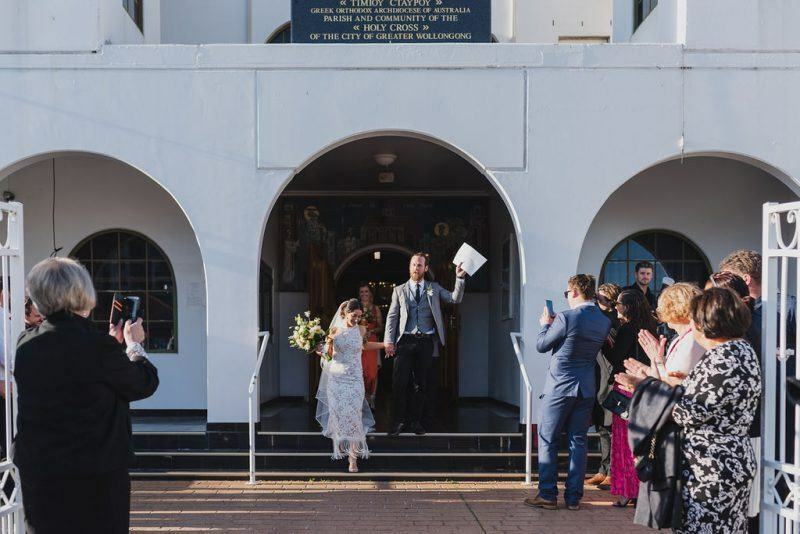 CREDITS: Photography Lonely Hunter Weddings // Ceremony Greek Orthodox Church, Wollongong // Reception The Woolshed // Wedding dress Grace Loves Lace // Groom and groomsmen suits Reuben Scarf // Bridesmaid dresses Sass & Bide // Hair Beautiful Hair Studio // Makeup Obala Spa and Beauty // Rings Julia Deville and Revolution Jewellery // Wedding Flowers DIY // Cake Cakes by Adrienne // Music Interim. 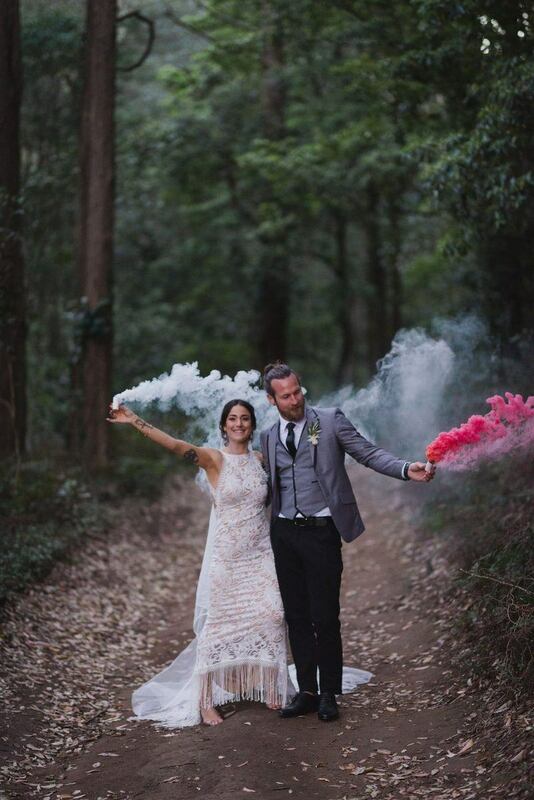 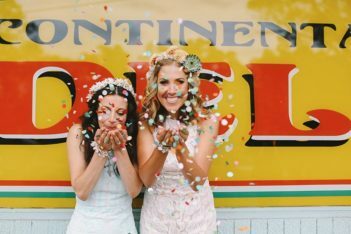 Searching for more real wedding inspiration? 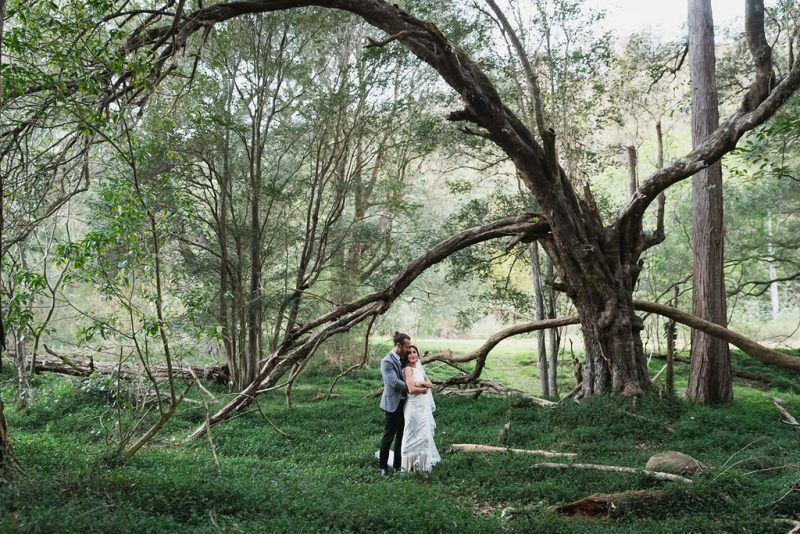 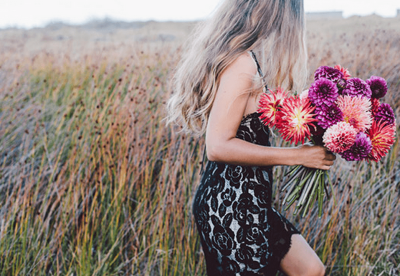 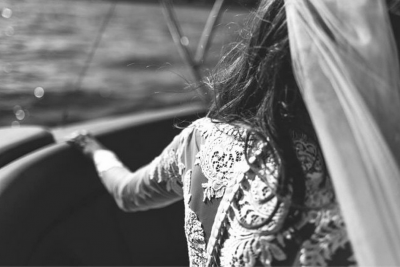 See our latest published styled shoot here. 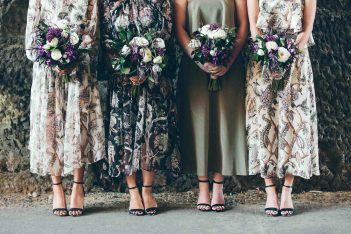 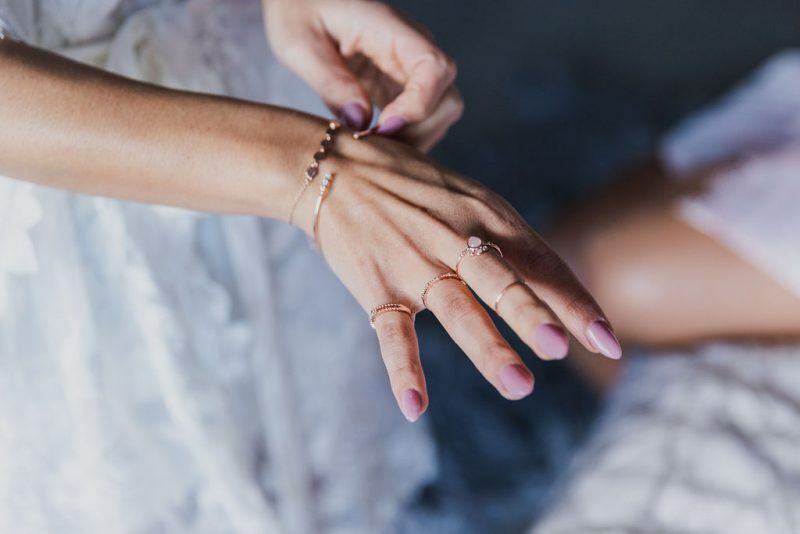 Bride or bridesmaid: who pays for what?